Visitors should be aware that there is now a trail diversion in place on the 4 mile Forsinain Trail at the Forsinard Flows reserve. While the trail through the farm and along the river is the same as normal a diversion is in place once through the deer fence above the farm. The diversion shortens the route to 3 miles and follows the boundary fence of the Forsinain plantation. Forestry Operations will be underway between 1st July 2018 and 31st December 2018, and all visitors are advised to stay on the marked route and to follow any safety signage. Forestry hazards are present even when machinery is not in operation and the signage is there to help protect you. Diversion signs are in place along the inside of the boundary fence for the Forsinain North Plantation. 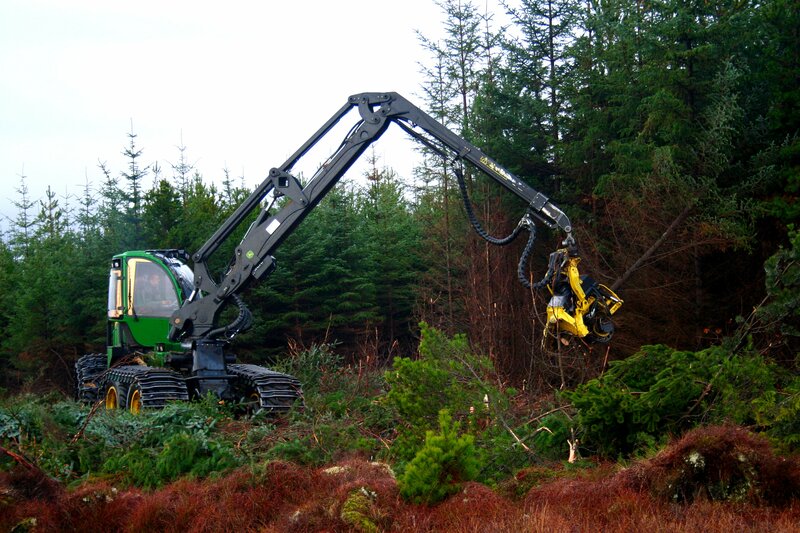 Harvesters and other forestry machinery will be operating within the active felling area. All visitors should comply with safety signage.